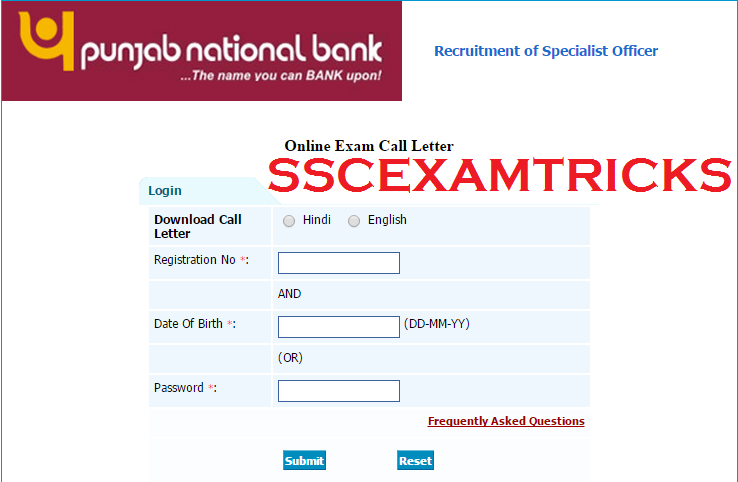 The latest news is that Punjab National Bank has released online admit cards on 12th April 2015 on official website for online written examination which is going to be held on 29th May 2015 for a total of 53 posts Specialist Officer (SO). Earlier PNB SO had released advertisement in which online applications were invited from 31st March, 2015 to 16th April, 2015 (inclusive of both days). The last date for receipt of application fee was 16th April 2015. A huge numbers of candidates had applied for these posts and waiting for online admit cards. Candidates can download their admit cards from the direct link provided below. Read the instruction provided at the bottom of the admit card. Admit card is an entry card to appear in examination. It is a mandatory document valid with photo identity proof specially Voter Card ID, PAN Card ID. Ration card and Adhar Card are not considered as photo identity proof to check the candidature of any candidate. Candidates are advised that they don’t forget to bring their admit card along with photo identity proof to the examination centres. It is also advised to the candidates that they will reach to the venue of examination 20-30 minutes before the examination time. Late coming candidates will also be not allowed to appear in the examination hall. The Final Selection will be based on merit List on the basis of Performance in written examination and Interview. The Written Exam will be conducted on 29th May 2015. The Written EXAM will be conducted by ONLINE MODE. 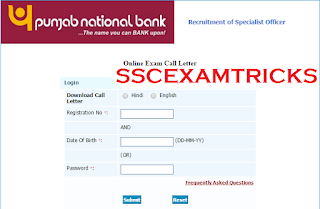 In ONLINE Mode, the exam will be entertained through filling of circles on Computer Generated Page containing information of answers which will be selected by filling circle in it. NO OMR sheet will be filled by Blue/Black ball point pen. Rough blank sheet will be issued for calculations/rough work in exam. Syllabus for on-line Test will comprise of Reasoning, English Language Quantitative Aptitude, General Awareness (with special reference to Banking Industry) and Computer Knowledge. The exam will be a multiple choice question paper containing 200 questions of 200 marks in which five options were provided out of which candidates need to choose one correct answer. Negative Marking of 1/4th to each wrong answer will be awarded to candidates. The total time duration for written examination will be 2 hours or 120 minutes. A three times more than the requirements of candidates are called for Interview. Merit list of the candidates for final selection based on Total Weighted Scores (TWS) obtained by them in online written examination and Personal Interview. The personal interview will be conducted in two steps.